The death of Children has been going on for thousands of years. Children have died because of disease, abortion, tsunami, tornado, earthquake and war. The number of children who lost their life to any of the later; represents a loss of life throughout time that is incalculable, because their number is greater than the sands of the seashore. God said that He Created YOU before the World was made in Eternity Past. You were Born in the Mind of GOD, long before you came out of the womb. God has promised a reunion in Heaven for every child of a parent who has come to the Cross-with Childlike Faith and accepted Jesus, the Son of God, as their Savior and Lord. 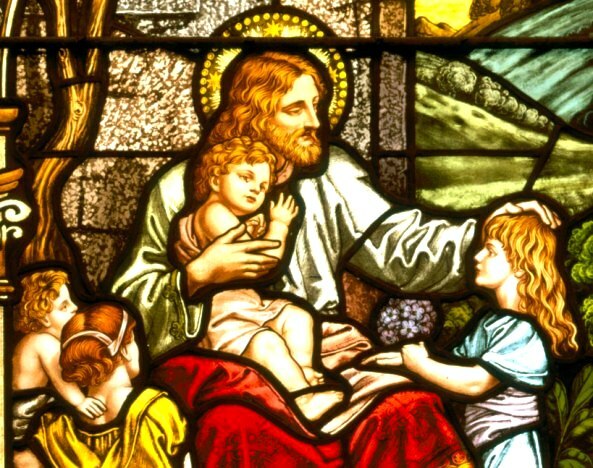 I believe that every little Child who dies before they are able to understand and respond to the gospel goes immediately to be with God in heaven. If children have not reached the maturity by which they can make this decision, they have not broken their relationship with God. Their names are in God’s “book of life”. King David said of his deceased newborn son, “I shall go to him, but he will not return to me” (2 Sam. 12:23). David believed that his child was with the Lord, and that he would join him one day in heaven (Ps. 23:6). I would offer the same assurance to every BELIEVER who suffers the death of a child. Your child belonged to his or her Father (GOD) and is now with Him in Heaven; waiting to be Reunited with You. Life is about ETERNAL LIFE, not the life we live here on earth. So which is better; to die as a child and go to heaven or to live out your life before a Holy God and be condemned to Hell for Eternity because you never considered the FACT that you are a Sinner in Need of a Savior? A Childs actions will not be judged by GOD….But every thought, every deed, every action, every motive of your pride filled heart will be judged by GOD; when you stand ALONE before HIM the split second after you die. We cry over our Children that died here on earth. Yet, the Children who died will shed tears in HEAVEN over you, because you never took the time to read the Very Words of GOD Himself to you in His Scriptures about the Greatest Story Ever Told—-“The Life, Death, Resurrection, Ascension and 2nd COMING of the SON of GOD; JESUS the CHRIST. Then you will die in your Sins and spend an Eternity in Hell and never be able to See Your Child in Heaven. The worlds events will not change no matter how much we comment to each other. The unfolding events are Pre-Written HIS-STORY. You’ve read the Bible, you know the Past, Present and Future of Mankind. You know the story and its outcome. Stop continually complaining about the events in our world and the politics of our country. This entire world including our country currently belongs to Satan the god of this world. You will not change the events that are coming. The world is drinking from its Communion Cup that contains its Blood, and Sewage mixed with Evil. As an individual believer in Christ you can only make a REAL Difference doing one thing. SHARE the TRUE GOSPEL of JESUS with everyone you Love and have relationships with ! ! ! The World and our Universe as we know it is going to implode very soon. As Believers, I am positive that NO ONE wants to leave those they Love behind. Those you Love WILL REMEMBER YOU FOREVER in HELL and wonder WHY you never told them the Truth OVER and OVER and OVER again about JESUS and HIS CROSS and WHY they need to be SAVED. They will spend Eternity Reviewing their life events, but never again be able to change the decisions they made. They will be Alone, no one will hear their cries in the darkness and flames that surround them. become the FORGOTTEN. They will have Eternal Death as you gain Eternal Life. So FOCUS on what your SAVIOR, your LORD and KING has called You Continually to do; while you have breath in your body. Nothing is more important to you or to those you will be leaving behind. BE A WITNESS FOR CHRISTTo Everyone YOU LOVE and to Those JESUS brings to you as you continue to be HIS VOICE and HIS LIGHT in the DARKNESS that Surrounds You.